It has reversed a trend, mainly caused by cross-mating with feral domestic cats, which resulted in their numbers being decimated by thousands over the past decade. This in turn was passing life threatening disease, with inter-breeding creating hybrids, and identified as the main threats to the species. Specialists working at the Wildcat Haven project in Ardnamurchan and Sunart, which was established by the Scottish Wildcat Association (SWA) and funded by donations from all over the world, targeted a 250sq mile area of the region. Using baited cage traps which were checked constantly, feral cats were caught before being neutered, vaccinated and sent back into the wild. Over the last six months, staff have saturated the area with traps, cameras, vets and ecologists, as well as support from local communities, to confirm the operation’s success. Project chief scientific adviser, Dr Paul O’Donoghue, said: “Cats of any kind are notoriously difficult to survey, however a summer survey turned up nothing. “The only feral cats seen have already been neutered, which means the population should collapse naturally within the next couple of years. Phase two of the project has also started, which aims to establish populations of genetically pure wildcats. “We are determined not to settle for second best, or for a bunch of tabbies that bear a resemblance to wildcats. “Protecting anything less than the pure Scottish wildcat will condemn the species to extinction,” added Dr O’Donoghue. 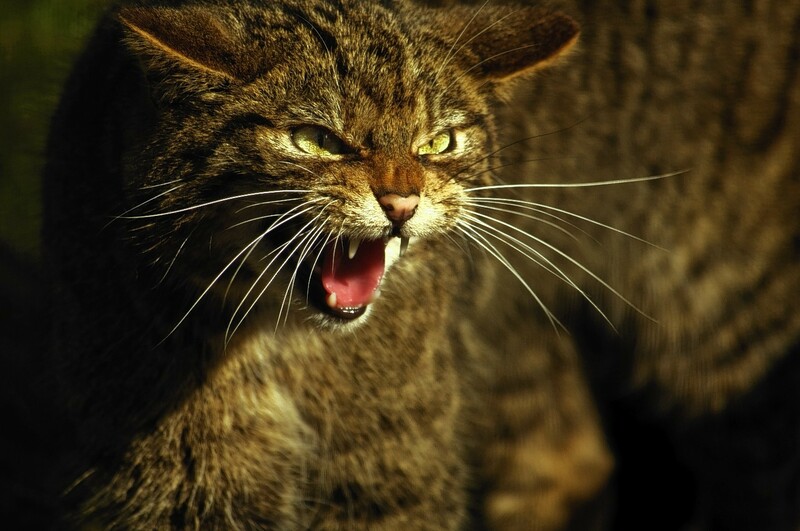 “The behaviour of feral cats and pure wildcats is very different, Scotland’s ecology needs the true wildcat and, outside of a wildlife park enclosure, this is the only place in the UK where they are safe from hybridisation.